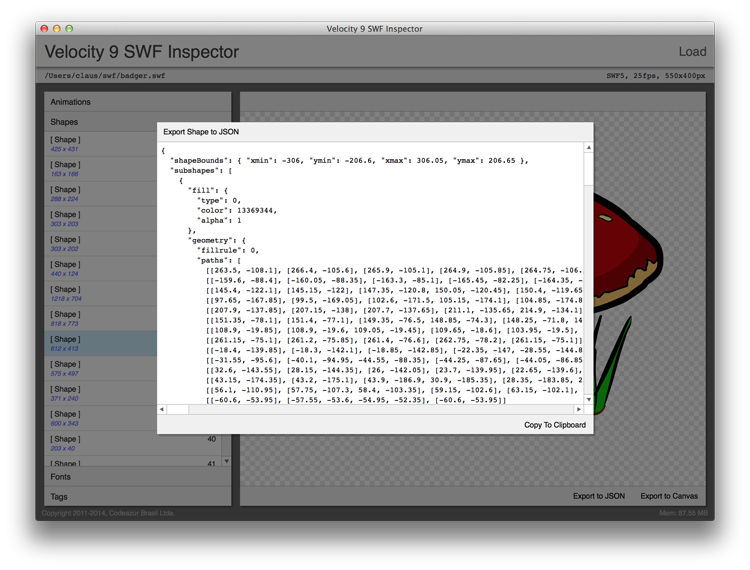 Inspector is tool to peek inside SWF files. 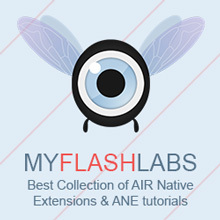 Working as an AIR application and built on top of as3swf, the tool has a complete GUI to inspect the files. It’s possible to see tags, movieclips (with their timeline) and shapes. Regarding shapes, a developer can export them to a JSON file. The tool is under development, but some new features are planned. Among them are animations (positioning on stage, masking etc., make selecting a frame easier/work), Fonts (display them, add export), Bitmaps (add export), Tags (display proper bytecode for DoAction, DoABC etc).